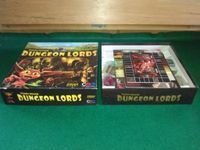 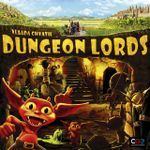 "In Dungeon Lords, you are an evil dungeonlord who is trying to build the best dungeon out there. 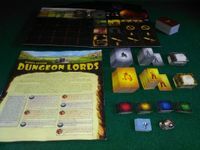 You hire monsters, build rooms, buy traps and defeat the do-gooders who wish to bring you down." 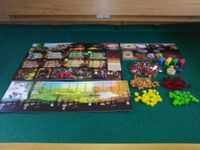 Still in excellent condition - game has only been played a handful of times (the game has been moved around a bit, so the box is a little worn).